This is a really, really good read. It is a nice chunky length and leaves you satisfied but also wanting more, in the way that you can make some happy assumptions, but still hanker for certainty – I would definitely read a follow up if one were offered! We meet a wide cast of characters but concentrate mainly on an unlikely quartet of women. They have all come together for a wedding that doesn't happen, and over the course of a week make some huge discoveries about themselves and each other. I loved how some things come out like a geyser, and others trickle out and, in the end, just cannot be kept quiet. We get an amazing introduction to the town and its inhabitants, most especially Mac, her lighthouse, and the visiting help. Threads about children, changes, and poverty feed in and provide a backdrop to the excess wielded as a weapon by Mr. Parker. I think this would make an awesome beach read but would be just as good read curled up in the warm. Maine clearly veers more for the cold, wet, and wild weather! It is a book full of emotion, secrets, and hopes. It is not a romance per se, but has its foundations in love, respect, and care for one another, which is just as valuable a story to be told. 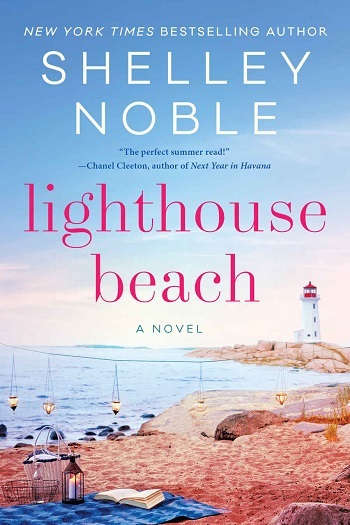 Reviewers on the Wicked Reads Review Team were provided a free copy of Lighthouse Beach by Shelley Noble to read and review.